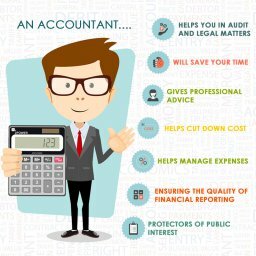 A responsible Certified Public Accountant (CPA) in the Philippines should accomplish and submit a prescribed Certificate for Compilation Services for the preparation of Financial Statements (FS) and notes thereto (“Certificate”) of covered organizations and persons. The certificate states the specific task that a CPA must comply with when preparing the FS. The attachment of the Certificate to the statutory FS shall be mandatory for FS ending June 30, 2016 and all subsequent periods. The CPA is required to commit to the obligations indicated in the Certificate and to sign this accordingly. The Certificate should be prepared only for issuers of FS which/who have gross sales or revenues exceeding ten million pesos (P10,000,000) for a particular accounting year. There is a reiteration of the rule that CPAs in public practice are prohibited from preparing or assisting in the preparation of FS and disclosure note of their clients which engaged them to render attest services for the same documents. These CPAs should apply for accreditation not later than February 29, 2016, and comply with the CPD requirements not later than June 30, 2016 after signing an affidavit of undertaking to that effect.